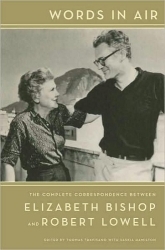 Published last October, Words in Air: The Complete Correspondence Between Elizabeth Bishop and Robert Lowell (edited by Thomas Travisano and Saskia Hamilton, Farrar, 2008), finally reveals both sides of a conversation I discovered last spring, in The Letters of Robert Lowell (Hamilton, ed., 2005). Apt. 212, 4135 Brooklyn Ave., N.E. While I'm certain Reed's anecdote about his overly-loud commentary on Lowell's poem is true, I think the fact that he was quoted in the London newspapers is probably an exaggeration. 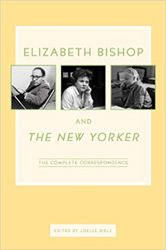 Bishop's letter of September 25, 1966 is likely the source of Brett Millier's mention of Reed and Bishop's late-night Seattle telephone conversations, in Elizabeth Bishop: Life and the Memory of It (University of California, 1995). The American actress, Irene Worth (pronounced i-REE-nee), starred in Reed's adaptation of Ugo Betti's The Queen and the Rebels, staged in London's Haymarket Theatre in 1955. Two fortuitous happenings this weekend. Firstly: more than a week agobefore I traipsed down to Duke University and back, evenI photocopied two articles from 1961 at the university library. One was Reed's book review of Emma Hardy's Some Recollections from The Listener, and the other was a review of Three Plays, by Ugo Betti, from Prairie Schooner. In my haste to read the Listener article, I managed to leave the Schooner review on the copier output tray. Going back to the library this evening, I re-pulled the 1961 Prairie Schooner volume from the shelf, and when I arrived at the photocopier what should I find? My copies from the previous week, neatly arranged on the adjacent work table. Buddha bless Duplication Services! Do tell Reed to come and see us. He must have saved your heart in exile. What a difference an intelligent voice makes. Our Guadeloupe beach was restoring, but one felt stupider than the stupidest touristand was! Lowell signed all his letters to friends as "Cal". Bishop must have mentioned that Reed was also teaching at the university in a preceding letter. I was pleased to discover that Lowell's Letters are arranged the way a collection of correspondence should be; the credit going to the editor, Saskia Hamilton. There is a substantial appendix of notes at the end of the volume, detailing all the obscure and personal references in the letters; a list of all the manuscript collections where the letters were collected from; and a list of all the addresses Lowell lived at and wrote from. At the time, in 1966, Lowell was living at West 67th Street, New York. I have no idea if Bishop ever passed along Lowell's invitation for a visit.